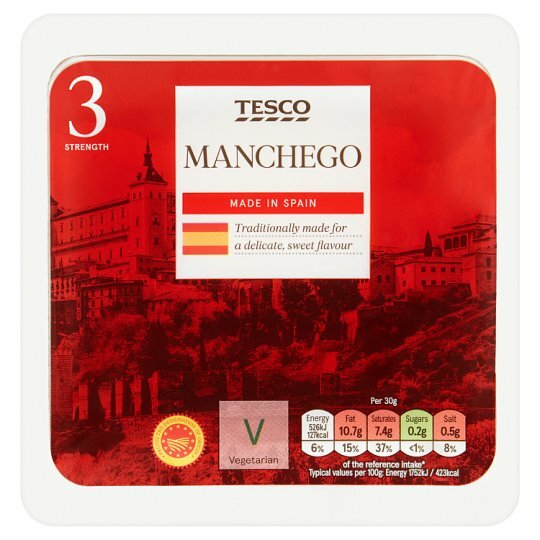 Manchego PDO cheese, made from pasteurised sheep's milk. Manchego Full Fat Hard Cheese (Milk), Stabiliser (Calcium Chloride), Preservative (Egg Lysozyme). Keep refrigerated. Once opened, consume within 5 days and by date shown. Caution: The rind on the cheese is not edible.